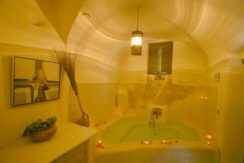 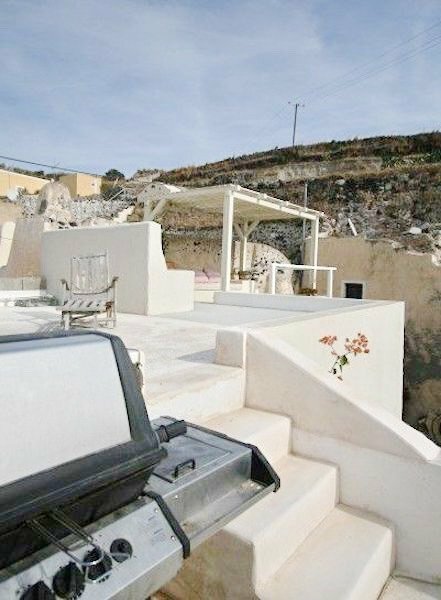 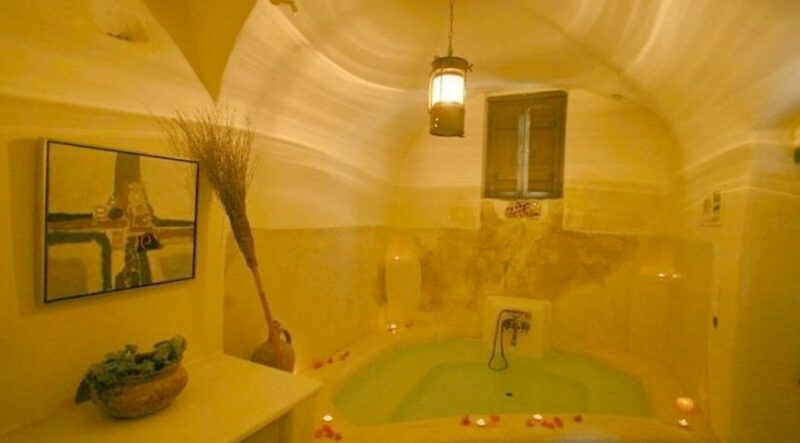 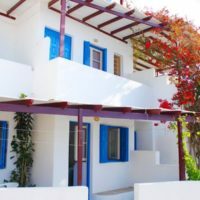 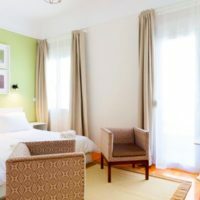 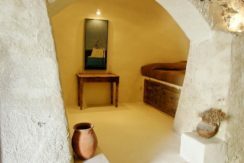 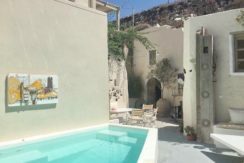 The house consists of 2 residencies and operates as tourist accommodation with excellent remarks. 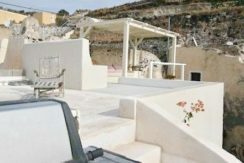 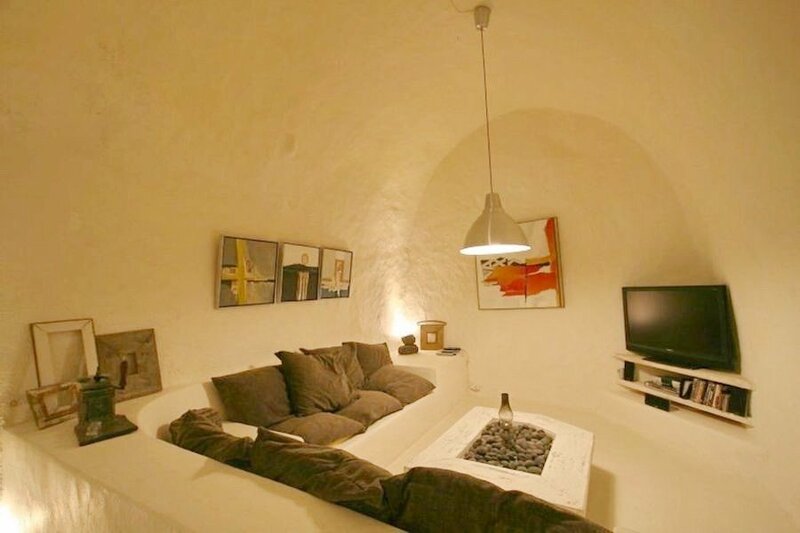 The first house is 120 sq.m with 3 bedrooms and 2 bathrooms, swimming pool. 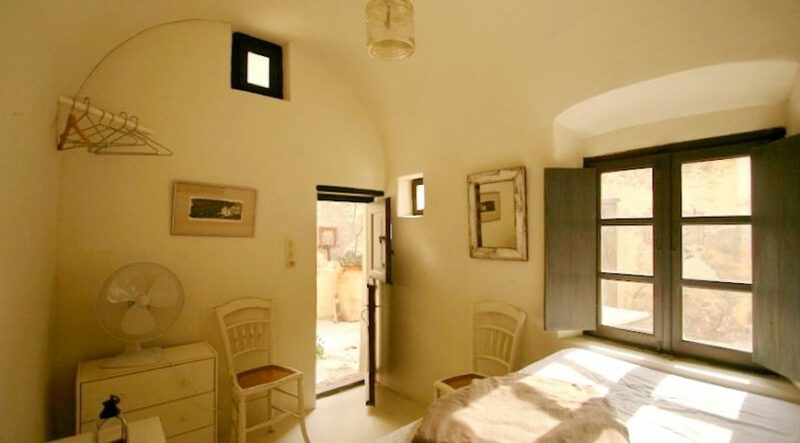 The second house is 80 sq.m with 2 bedrooms and 2 bathrooms, large kitchen and good aesthetics. 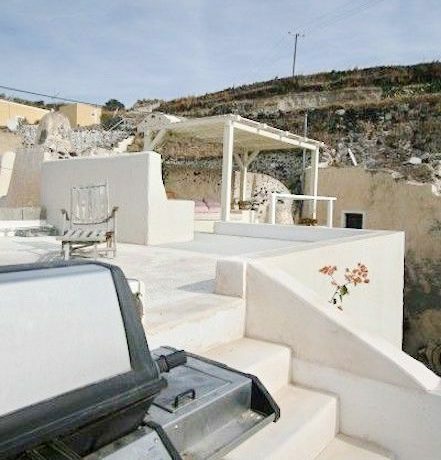 The property is a good investment opportunity. 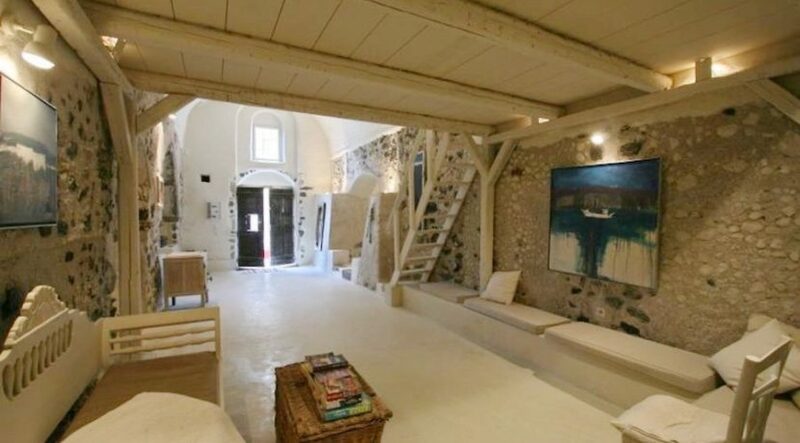 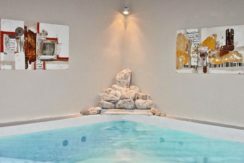 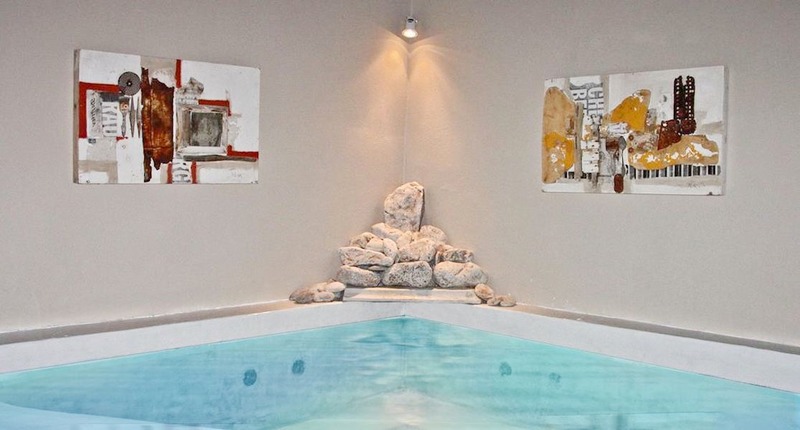 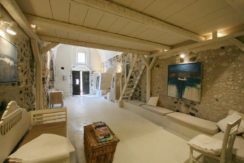 A unique experience, combining a traditional winery, working artists studio and holiday villa. 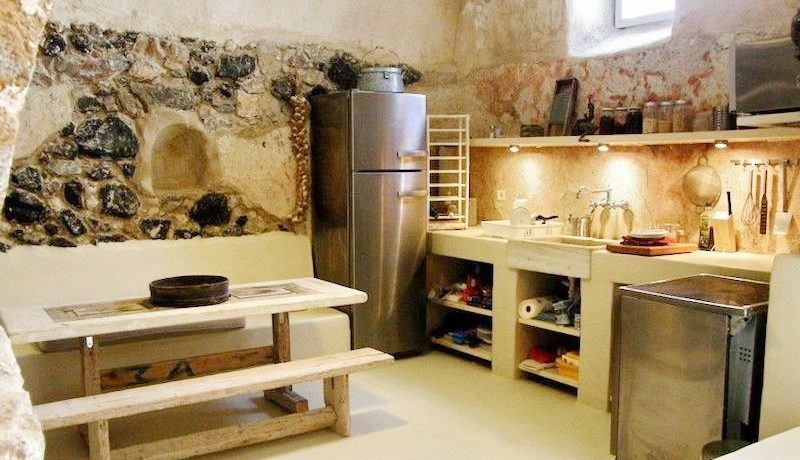 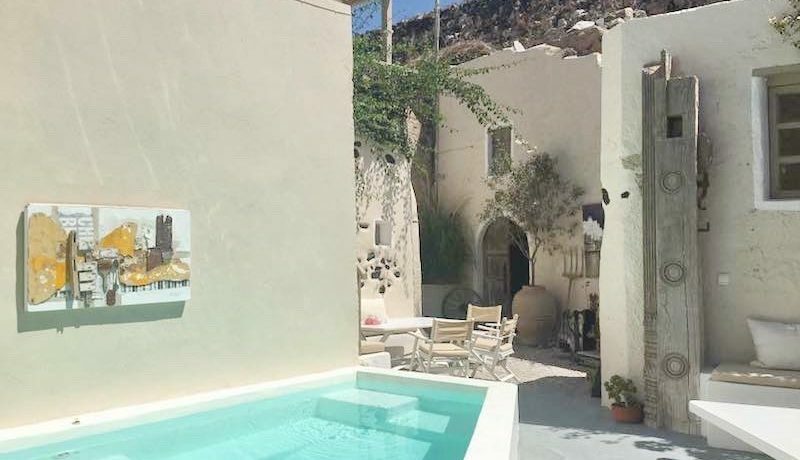 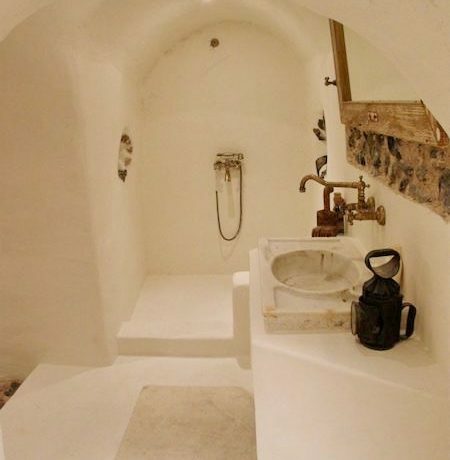 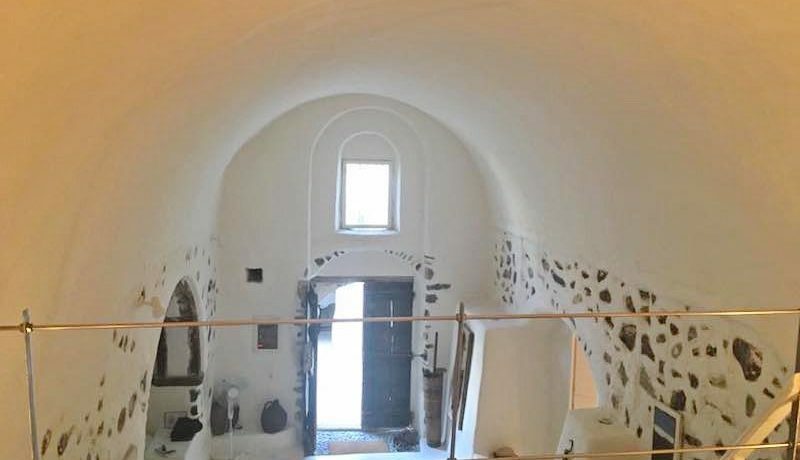 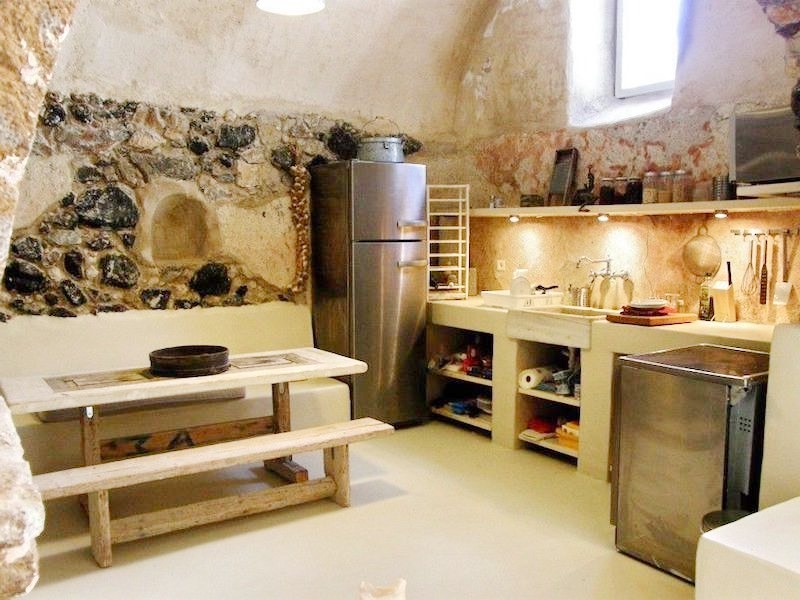 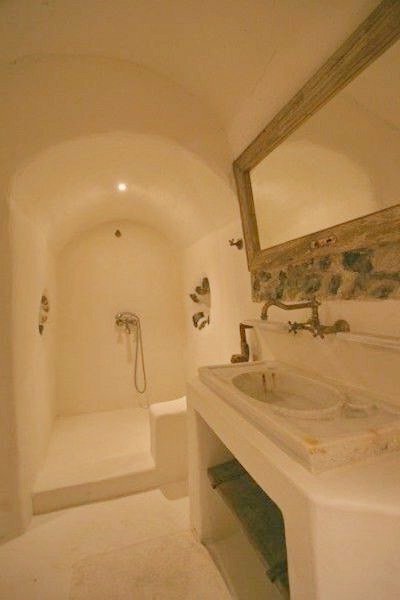 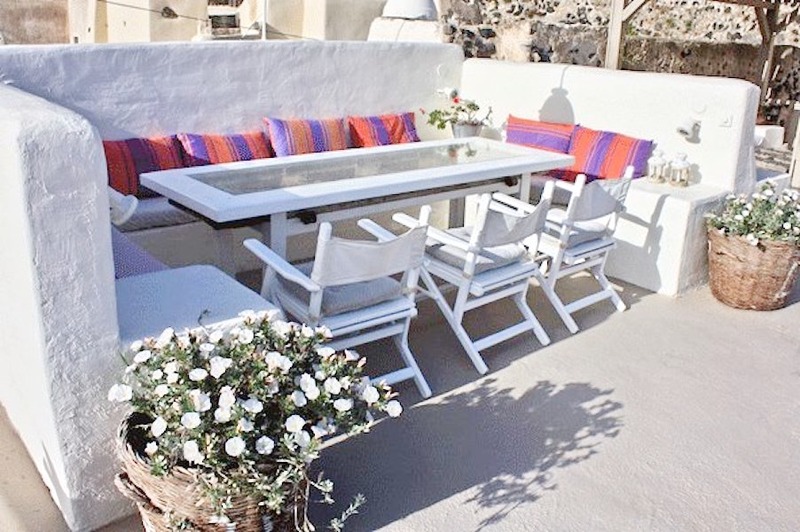 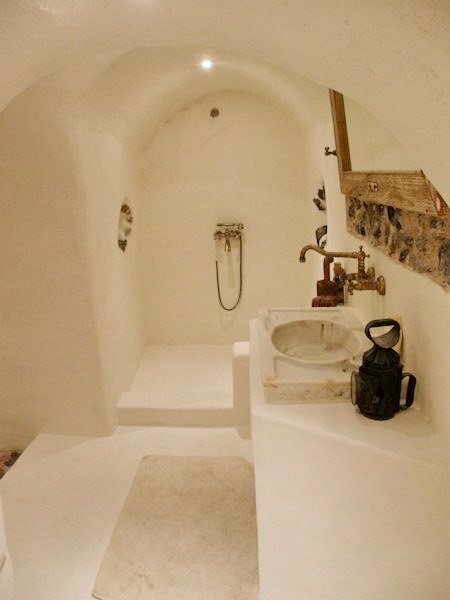 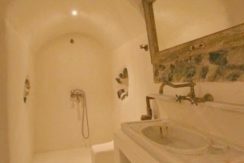 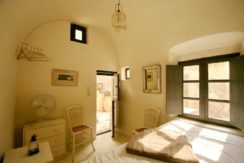 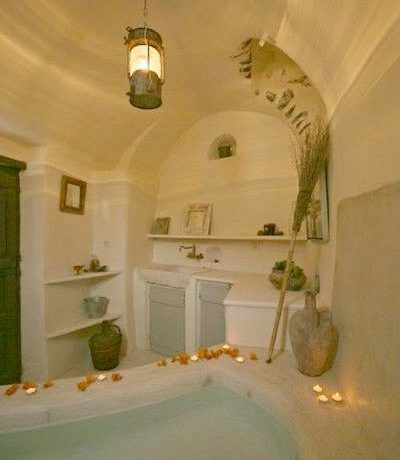 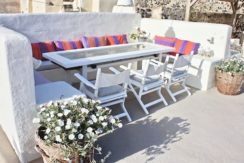 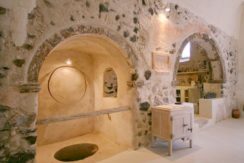 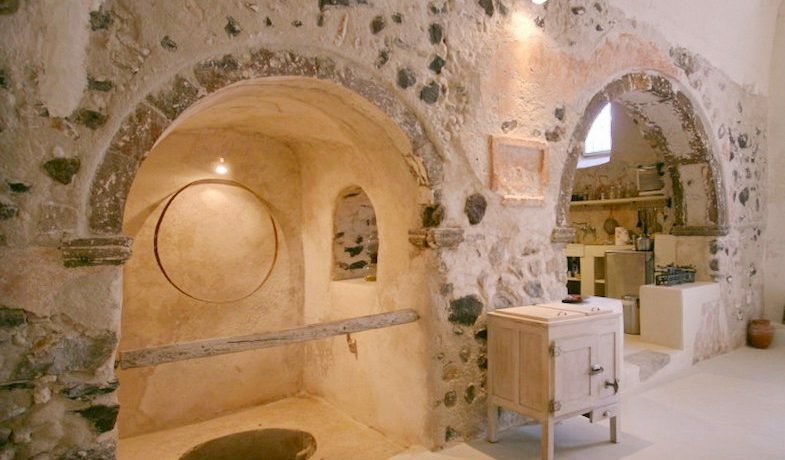 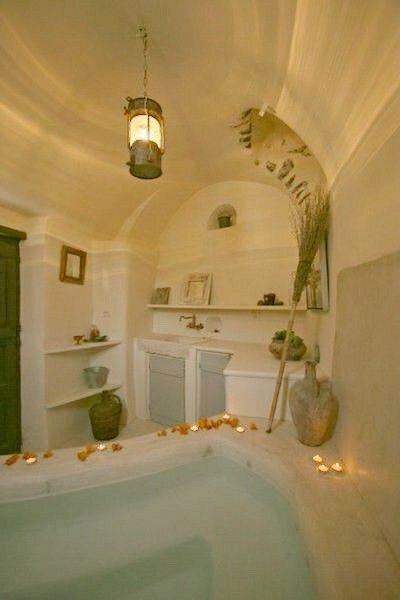 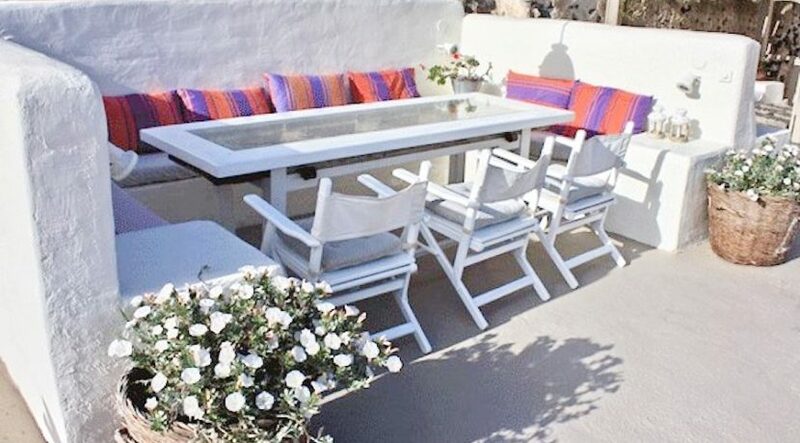 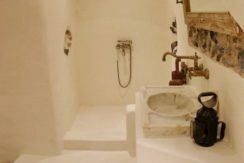 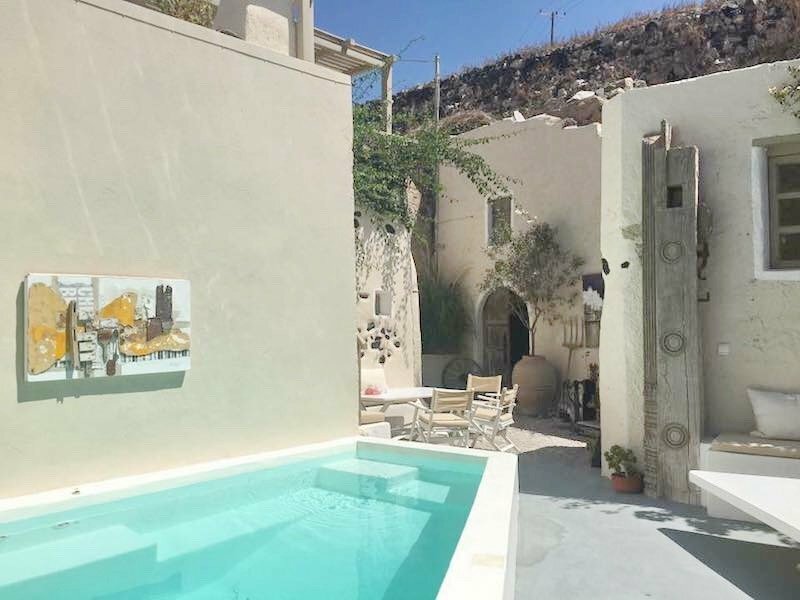 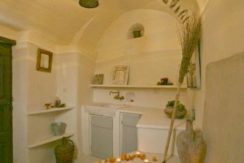 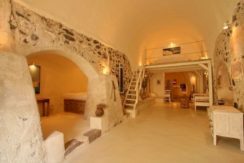 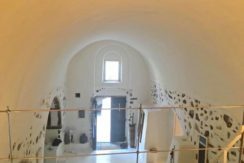 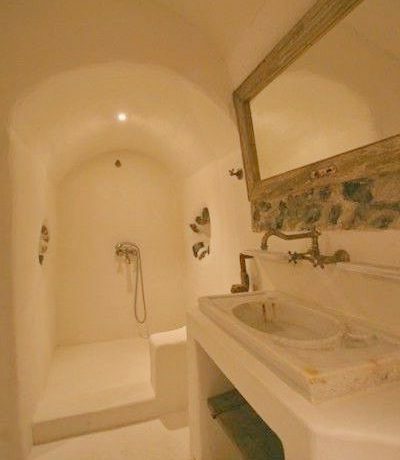 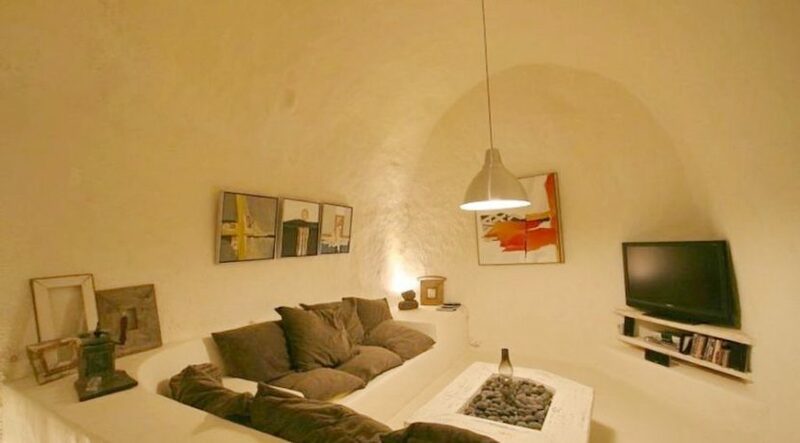 Lovingly restored and converted into holiday accommodation and studio by local artist, the ‘canava’ building dates back to 1835, situated in a semi rural location on the edge of the residential village of Emborio, with views to the ‘castella’ (old town) of emborio and beyond to the sea. 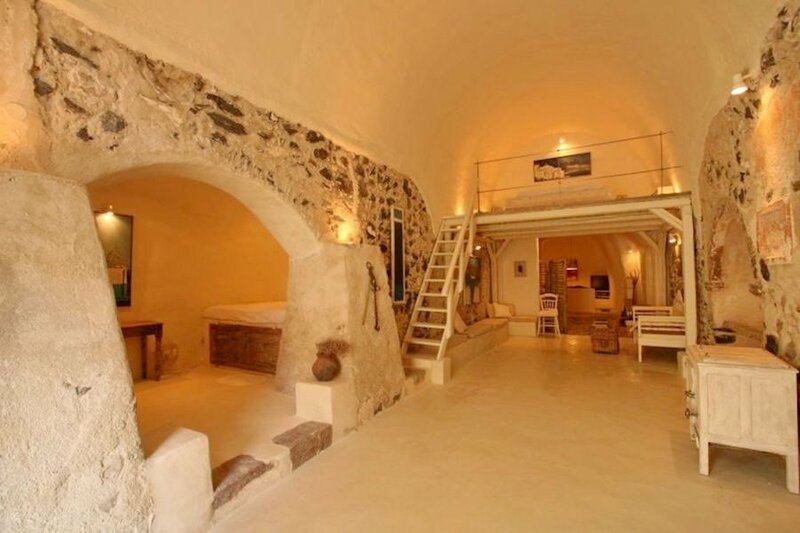 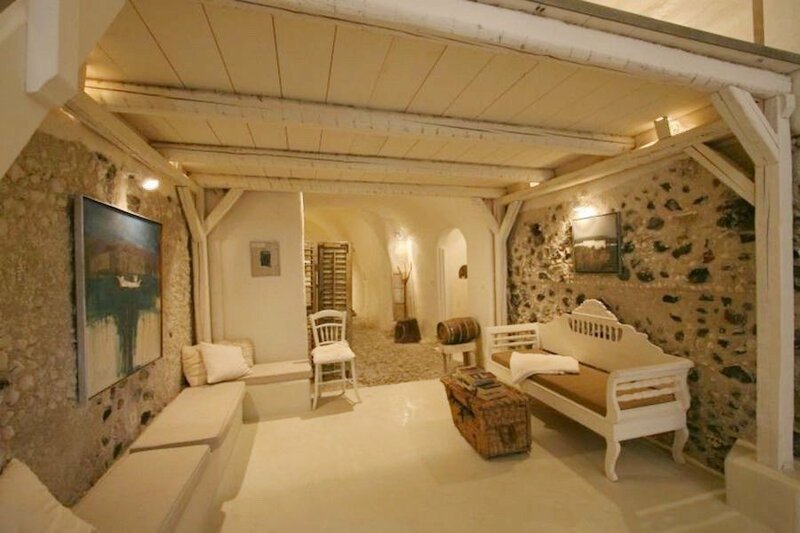 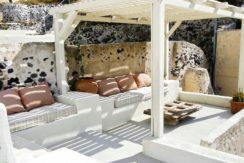 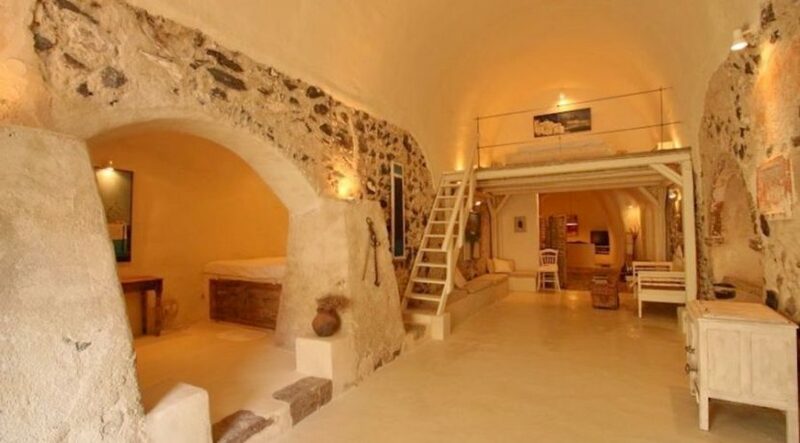 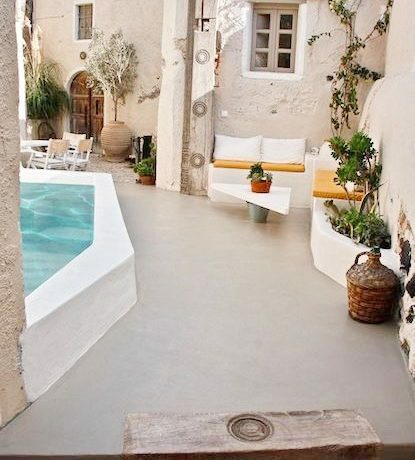 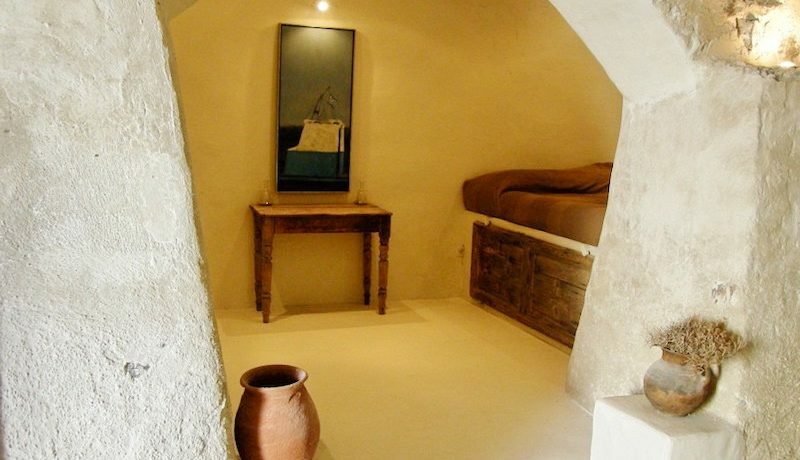 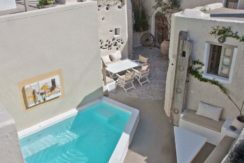 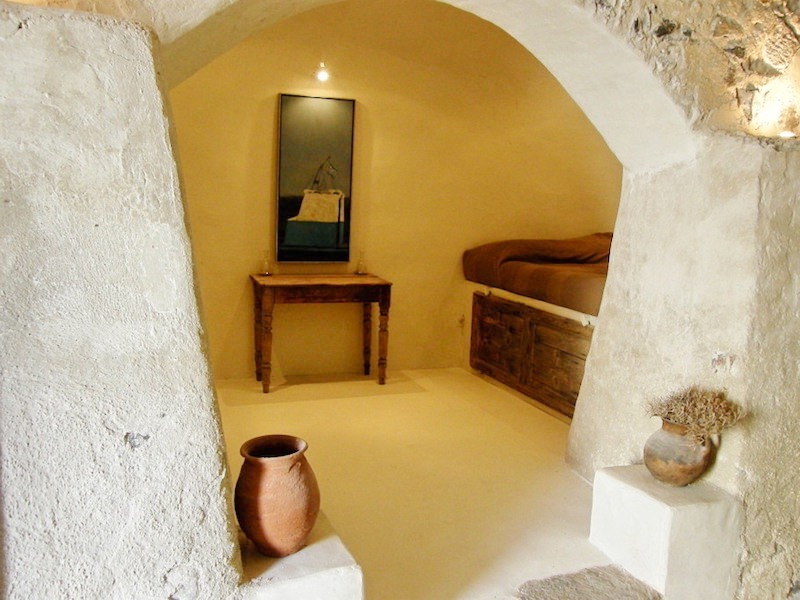 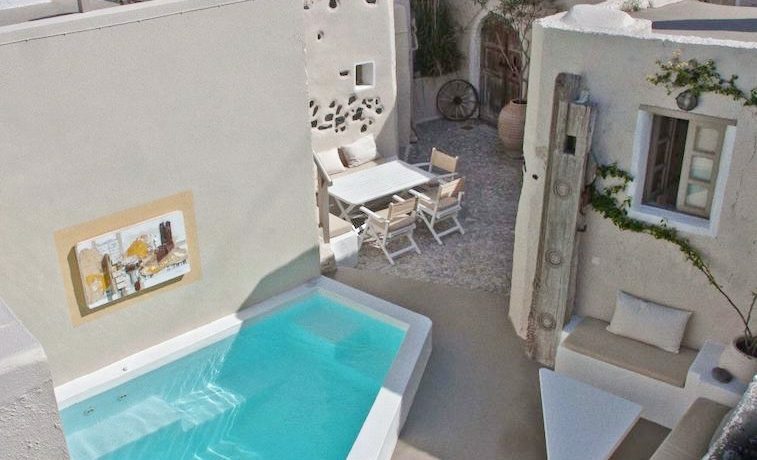 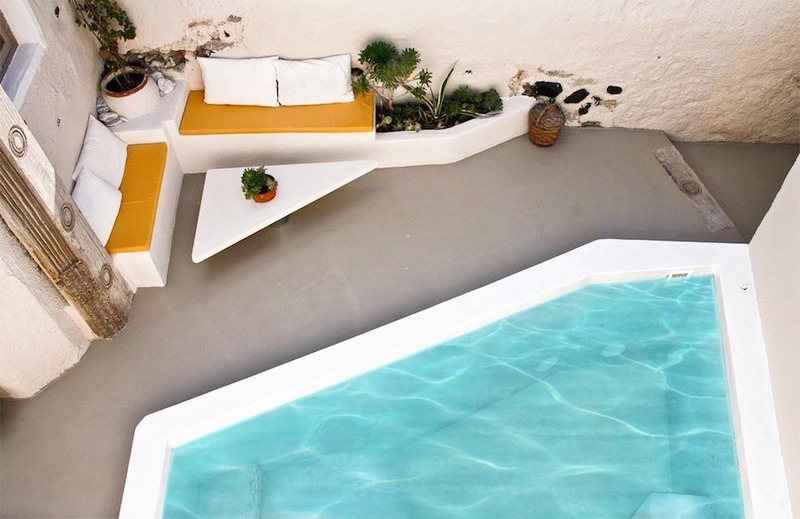 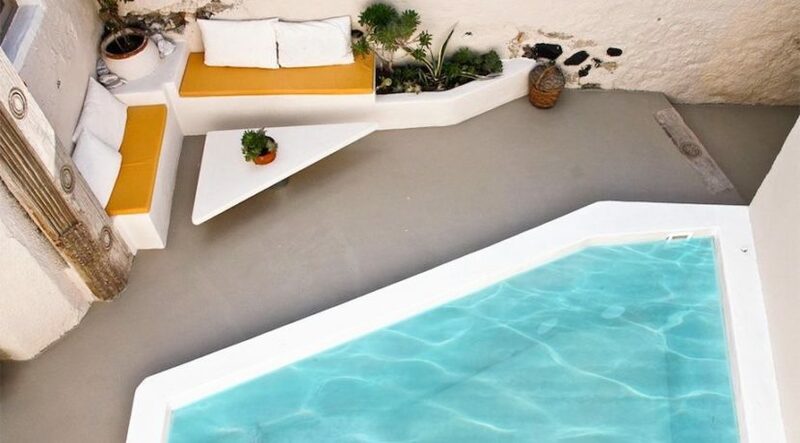 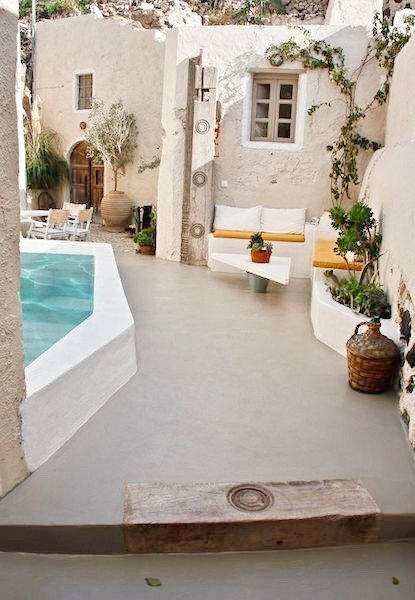 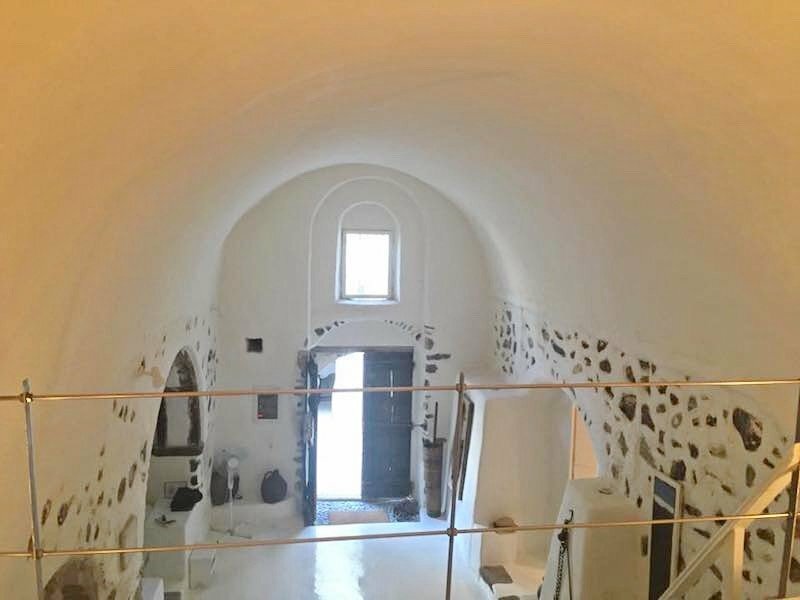 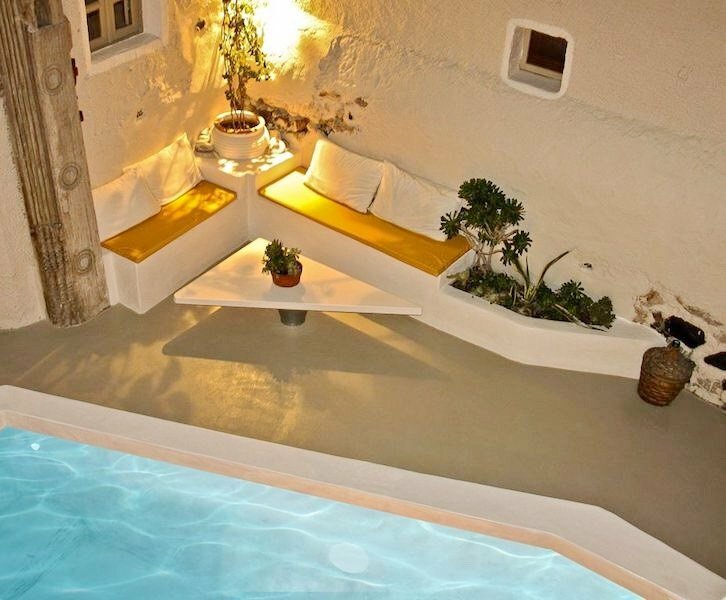 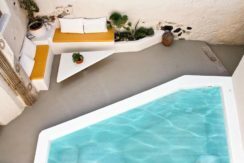 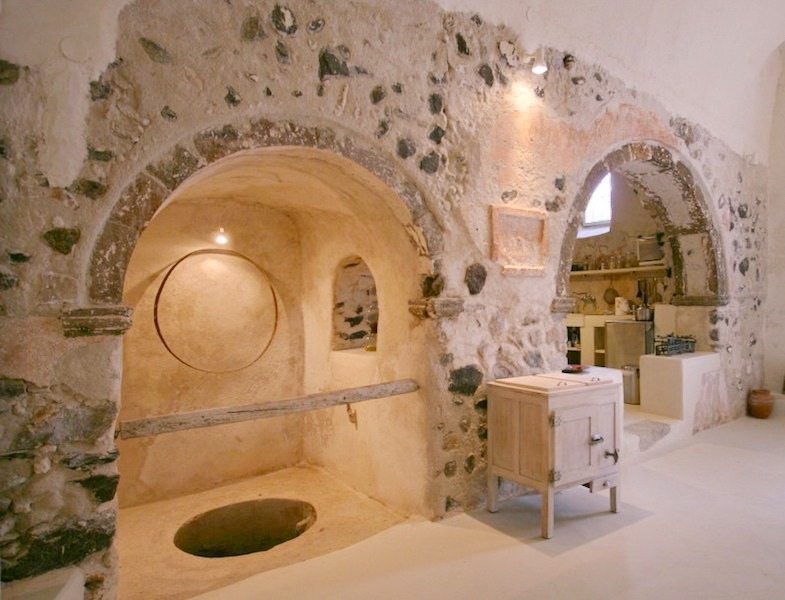 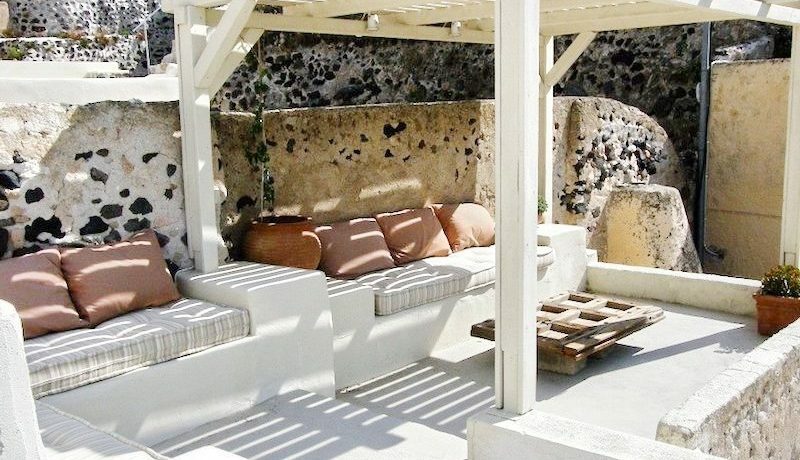 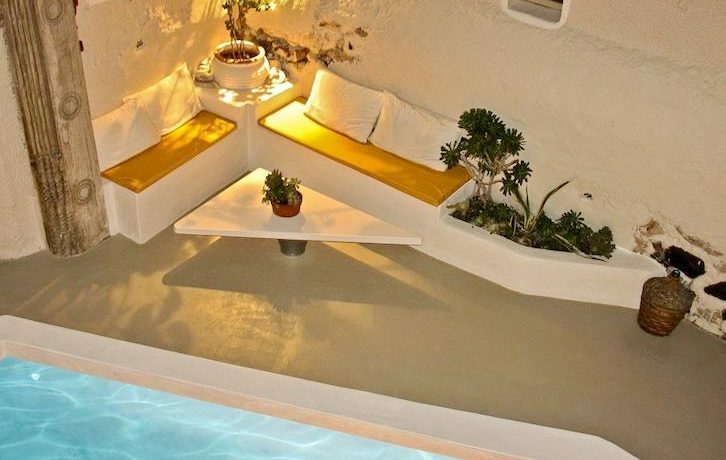 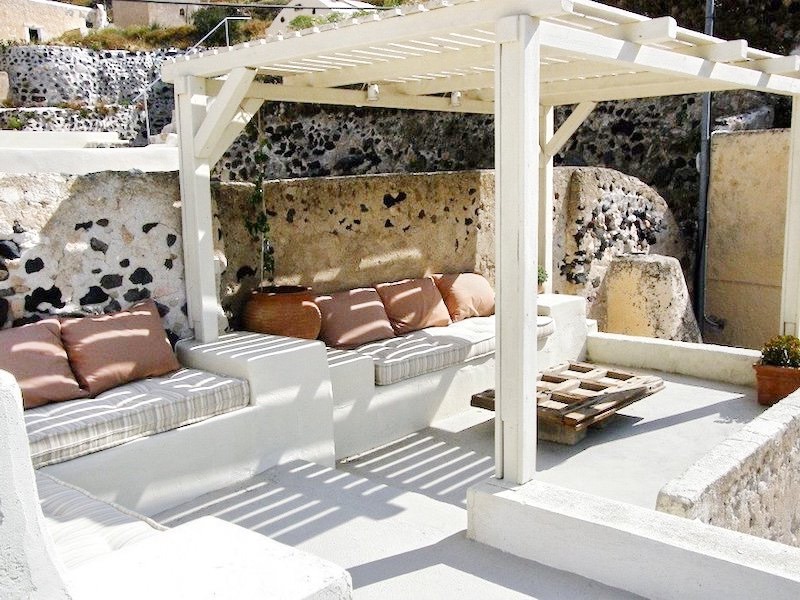 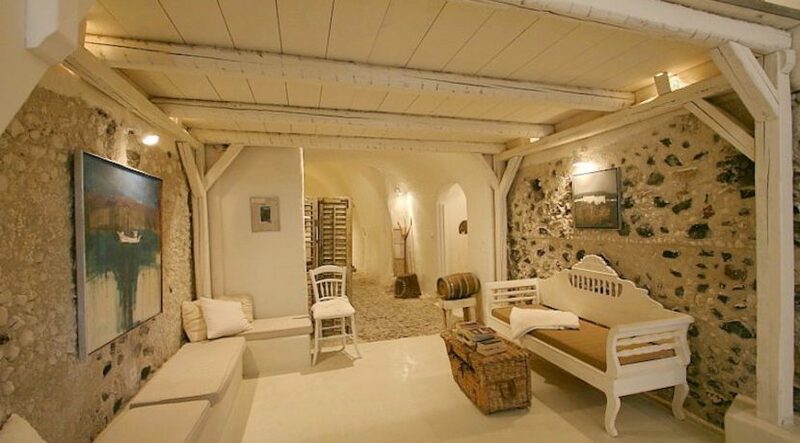 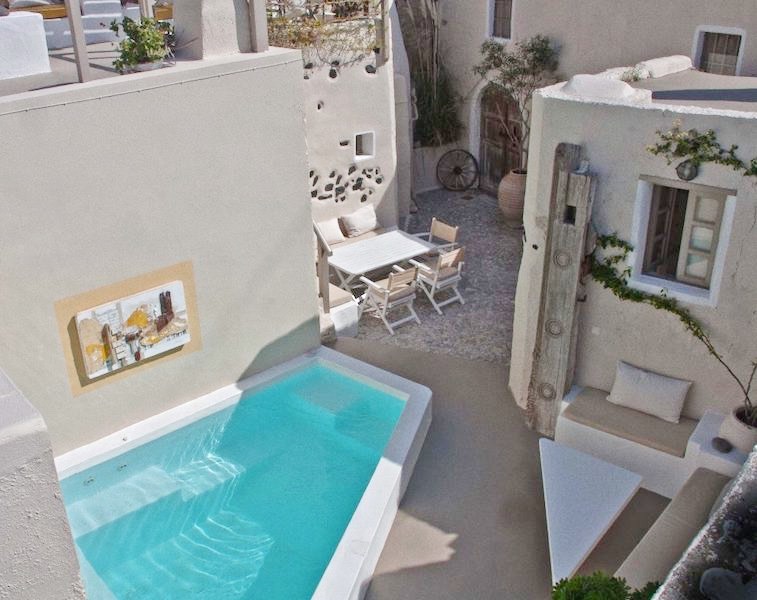 Emporio takes its name from the Greek word for “trade”, being for centuries the traditional trade centre of Santorini. 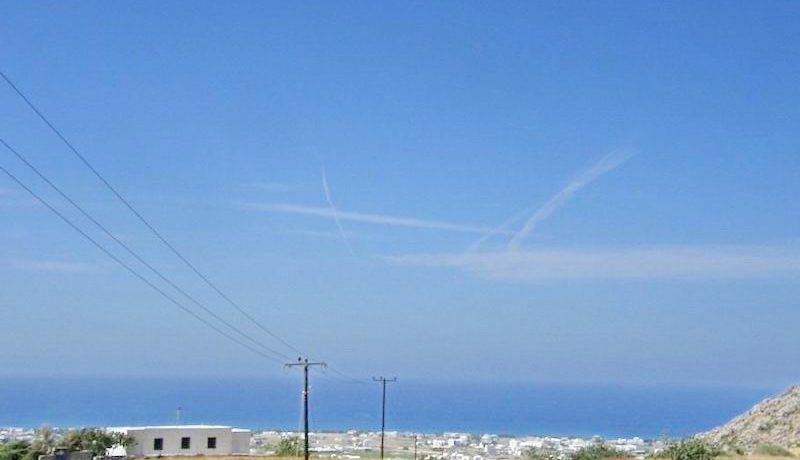 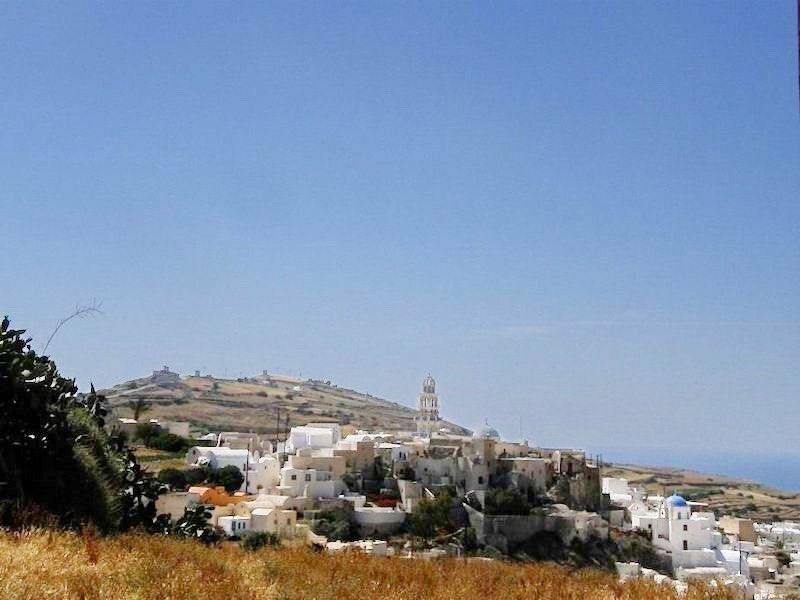 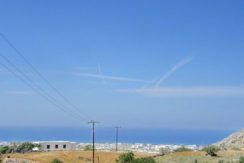 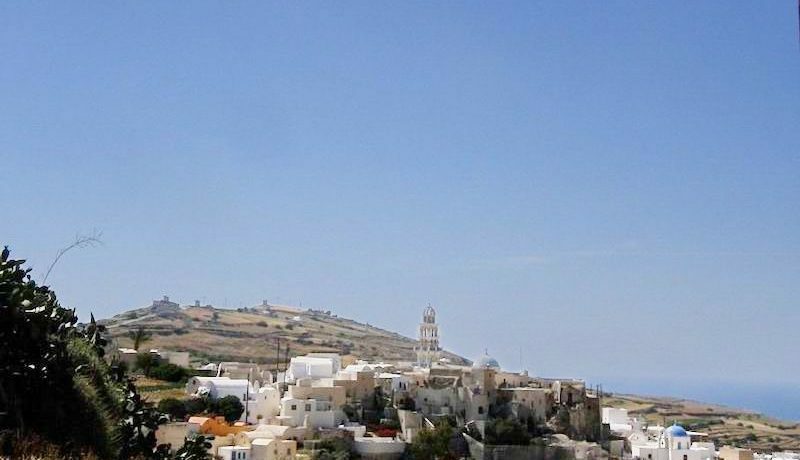 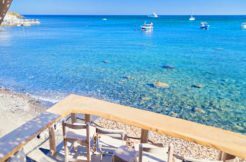 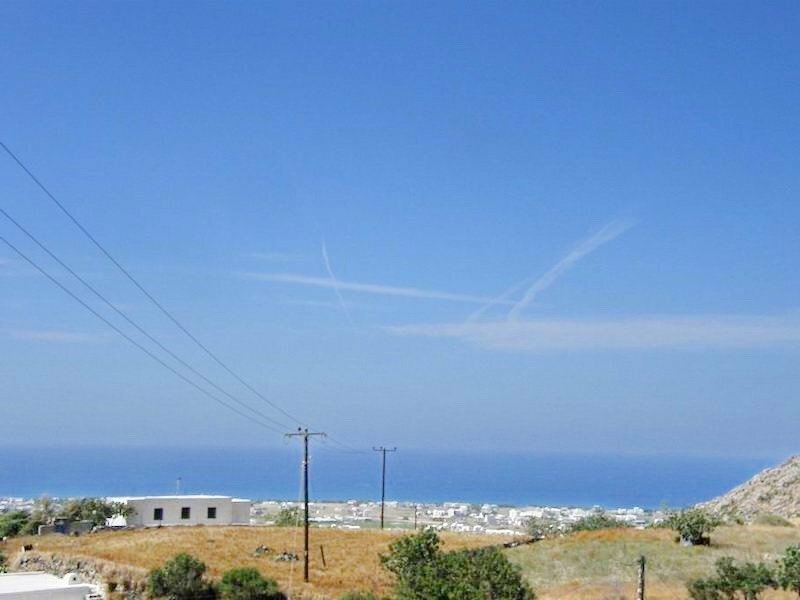 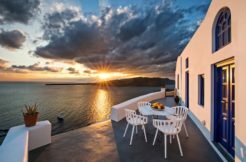 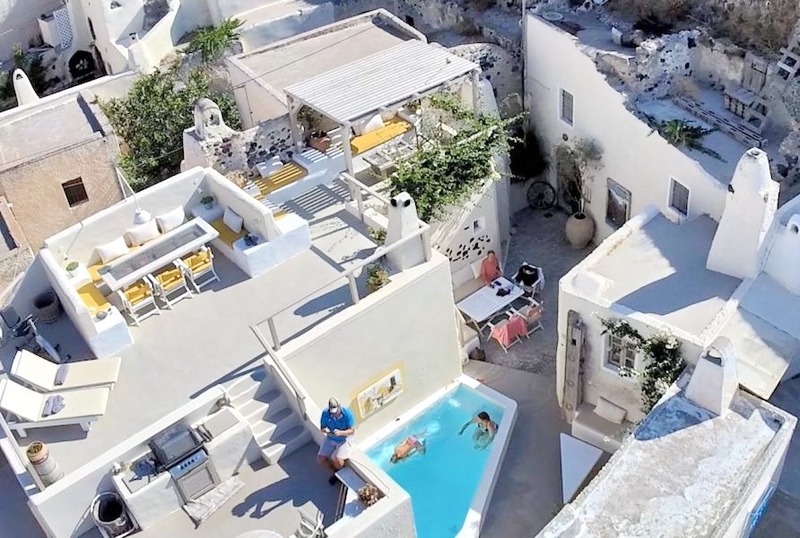 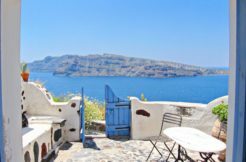 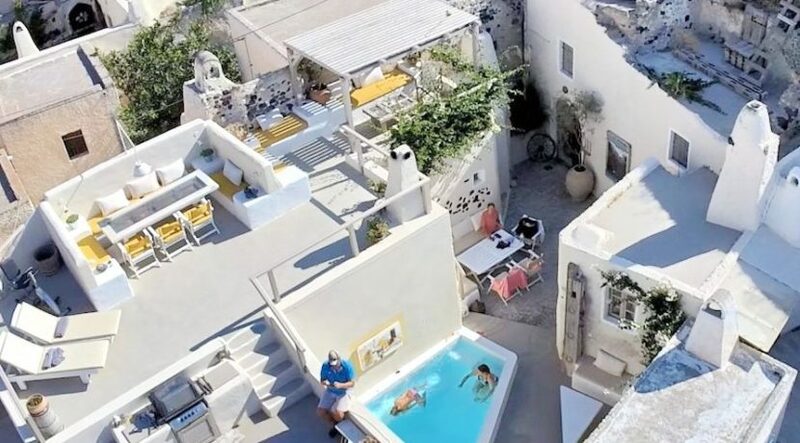 It’s the largest village of the island boasting wonderful windmills on the top of the hills, narrow streets painted in white, blue domed churches, a Cathedral, a medieval castle and a pagan church dating back to the 3rd century b.C.